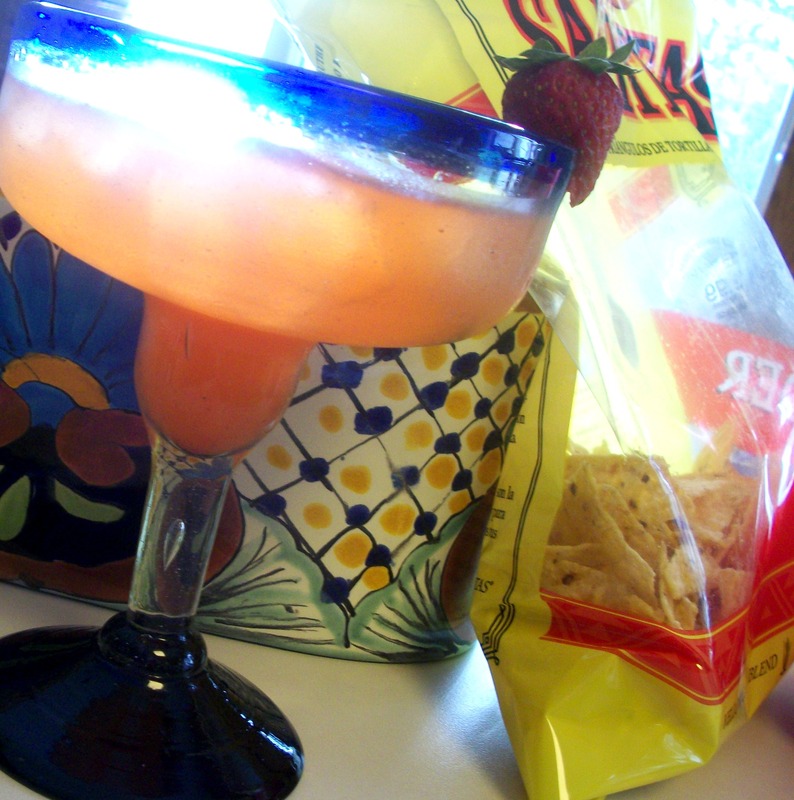 Who has two thumbs & is actually posting a Thirsty Thursday recipe on Thursday?? That’s right, this girl riiiiight here. 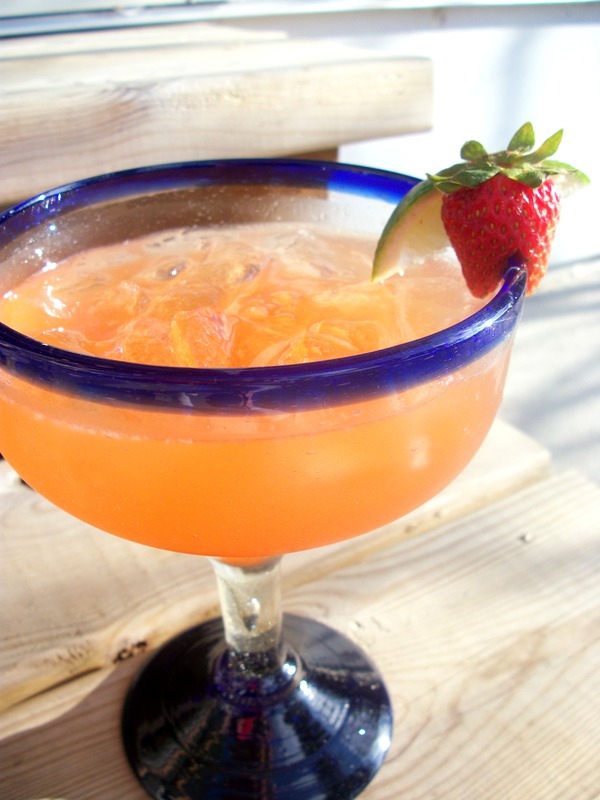 This drink brings together the flavors of sweet strawberries & tart limes to create a super refreshing combo. 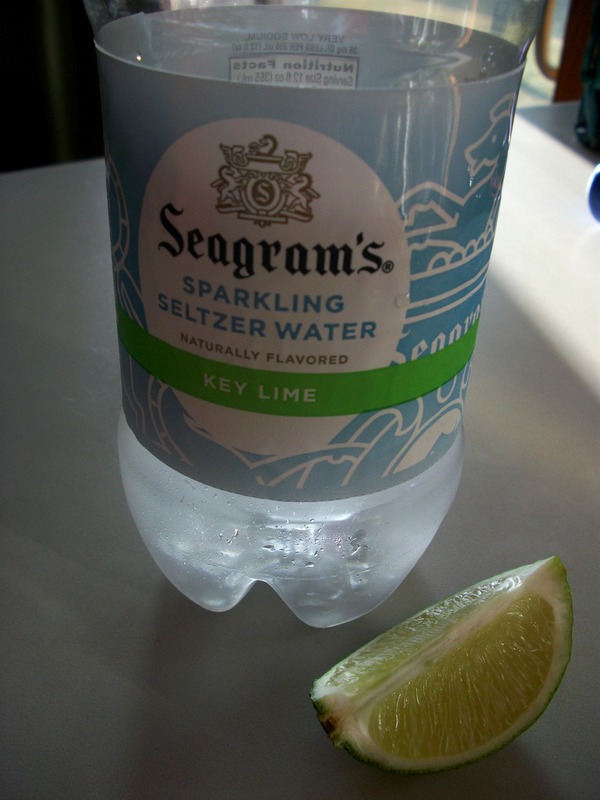 It also involves Seagram’s Sparkling Seltzer Water in Key Lime. I’ve been a little obsessed with this stuff lately. I love the way seltzer way gives you the bubbly satisfaction of a soda without all of the added grossness. You’ll need a muddler for this one, folks. I love muddling. 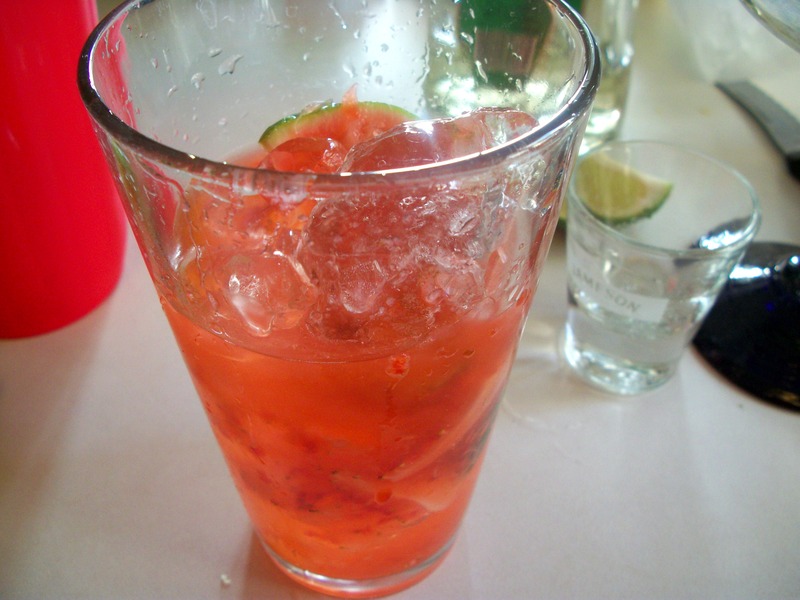 Start by muddling 2 strawberries & 2 lime wedges with a splash of sparkling seltzer water. I did this step in a 16 oz pint glass. You definitely want to use a glass other than the one you’ll be drinking from. You should have a strawberry-hued pulpy liquid mess when you’re done. Something like this. Now you add the booze! 2 oz tequila of your choice, 1 oz triple sec. You could also sweeten the drink by adding a little Agave nectar at this point but I didn’t want mine super sweet. Then throw in some ice. Using another larger glass (a big, plastic cup works great if you don’t have a drink shaker), shake up your drink to ensure maximum chill & flavor factors. 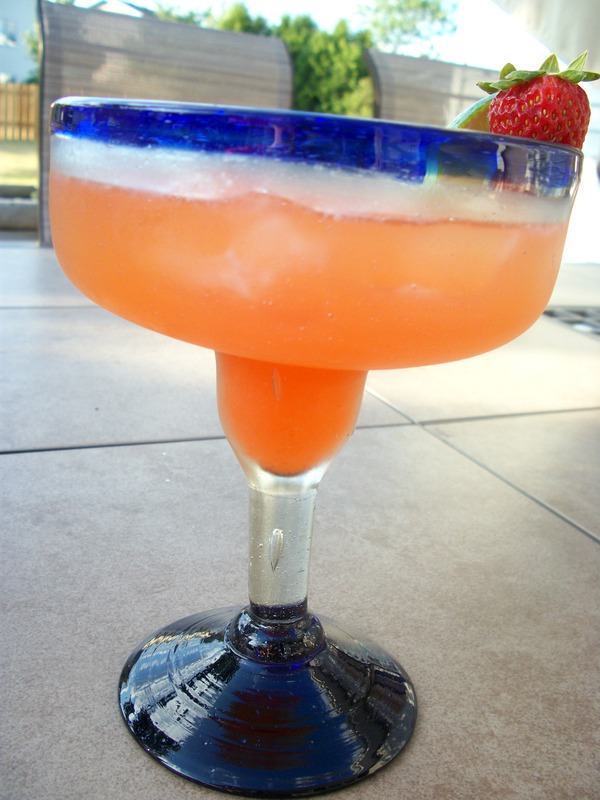 Strain into a margarita glass filled with ice. 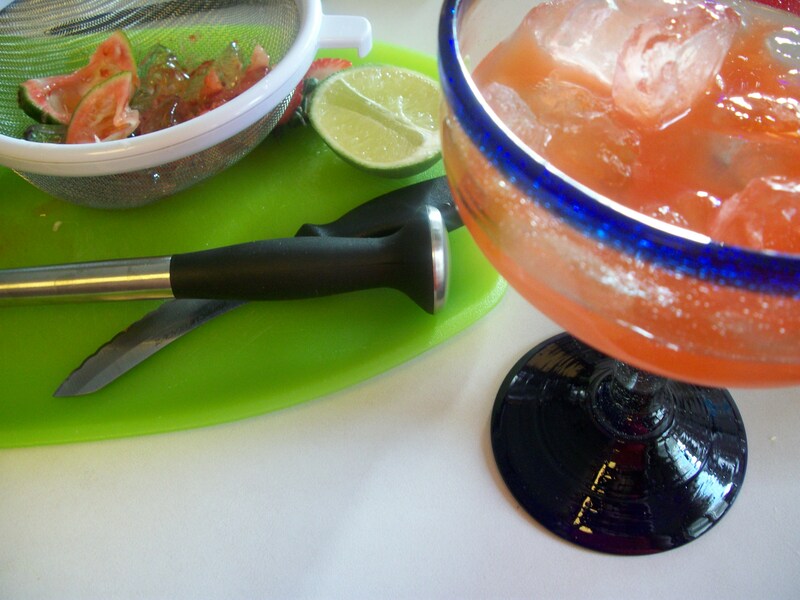 You can salt the rim if you choose, but you’ll want to do it right before this step. 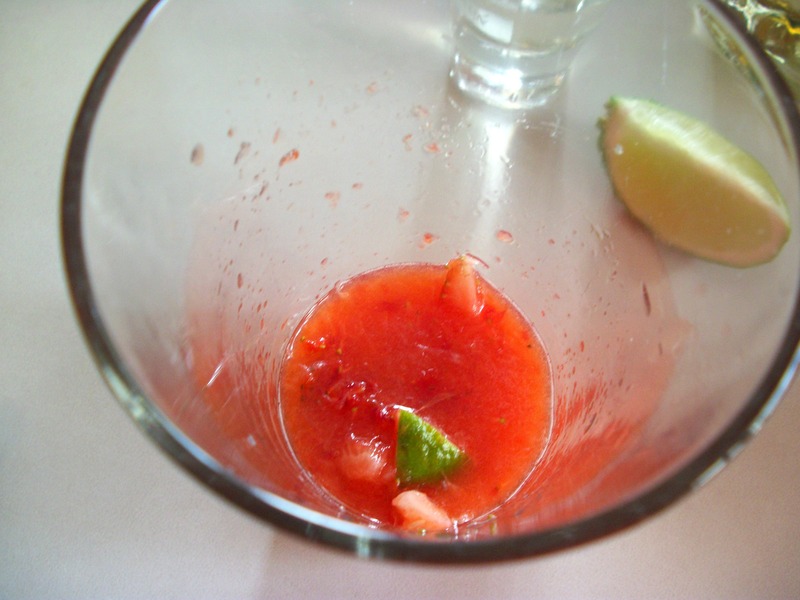 Just rub a lime wedge on the edge of the glass & roll it in salt (or sugar). 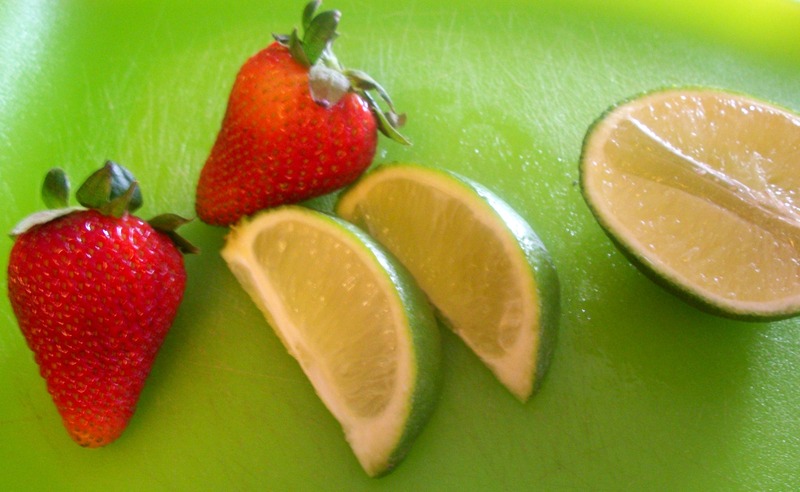 Squeeze in the juice of another lime wedge or two & top if off with Key Lime seltzer water. 1. 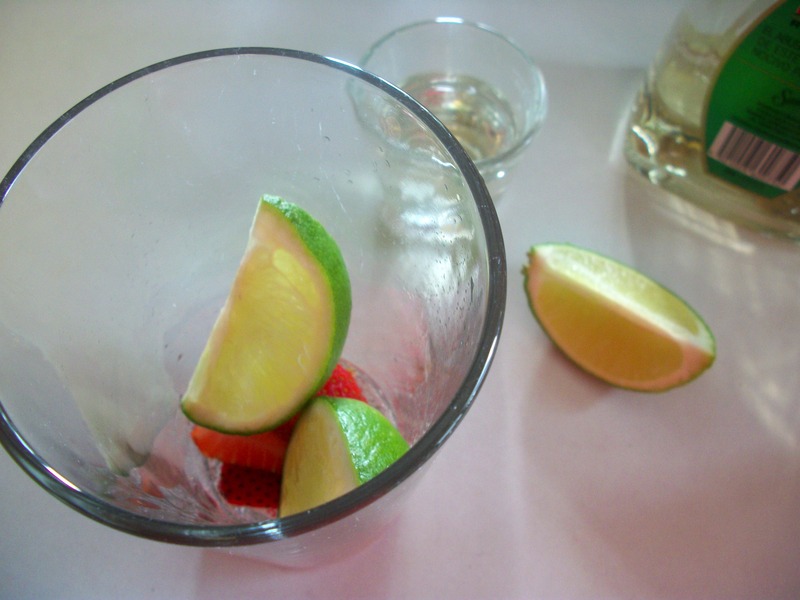 Place 2 lime wedges & 2 strawberries in a glass with a splash of sparkling seltzer water. 3. Add tequila & triple sec. And Agave nectar, if desired. Add ice. 4. Shake drink or pour between to glasses to mix. 5. Strain drink over margarita glass filled with ice. 6. Squeeze in juice of a couple lime wedges. 7. Top off with sparkling seltzer water. Since you saved all of those calories by not using a sugar-filled margarita mix, you should probably snack on some chips & guac while you sip. Wouldn’t you agree? Do you have any fun plans for the weekend? I think we’re doing a cookout at my parents’ house on Friday night. I’ll be serving drinks to visitors of the Spring Green Arts & Crafts Fair on Saturday, which should be a fun change of my normal drink serving location. Unfortunately I have to work on Sunday but I’m looking forward to Friday & Saturday so I guess I can’t complain. Yes, that would be PERFECT with chips & guacamole.